During 2017, Friends of Griffith Park continued to make positive impacts on behalf of the Park as a place for urban wildlife and native plant life, and also for the people who seek to enjoy the message of nature in the city. In keeping with Col. Griffith’s goal to have Griffith Park free and open to all, FoGP co-sponsored a rally to keep Beachwood Canyon Gate open. We filed a Motion to Intervene and later a separate lawsuit to follow the judge’s order that public access be provided as close to the gate as practicable. FoGP provided input to the Observatory Traffic Plan and to the Access and Mobility Study to address congestion around the Hollywood Sign. FoGP paid for the removal of an abandoned water tank which encouraged Rec and Park to dismantle other abandoned water tanks throughout the Park. Friends of Griffith Park provided direction for new trail signage in the interior of the Park. FoGP’s first Raptor Nesting Survey was completed in 2017. FoGP worked with the Boy Scouts to repair a small pedestrian bridge in lower Fern Dell. Friends of Grifith Park co-sponsored a coyote hazing workshop to teach local residents how to co-exist with coyotes and keep them wild. FoGP partnered with the Sierra Club Inspiring Connections Outdoors program whose purpose is to introduce students to the benefits of the outdoors by taking them on hikes in Griffith Park. FoGP hosted a Bird LA Day site/walk in Fern Dell as well as a mushroom survey in the northwest area of the park. FoGP was represented at several environmental fairs in the LA Zoo and NBC Universal, highlighting the dangers of rodenticide use. 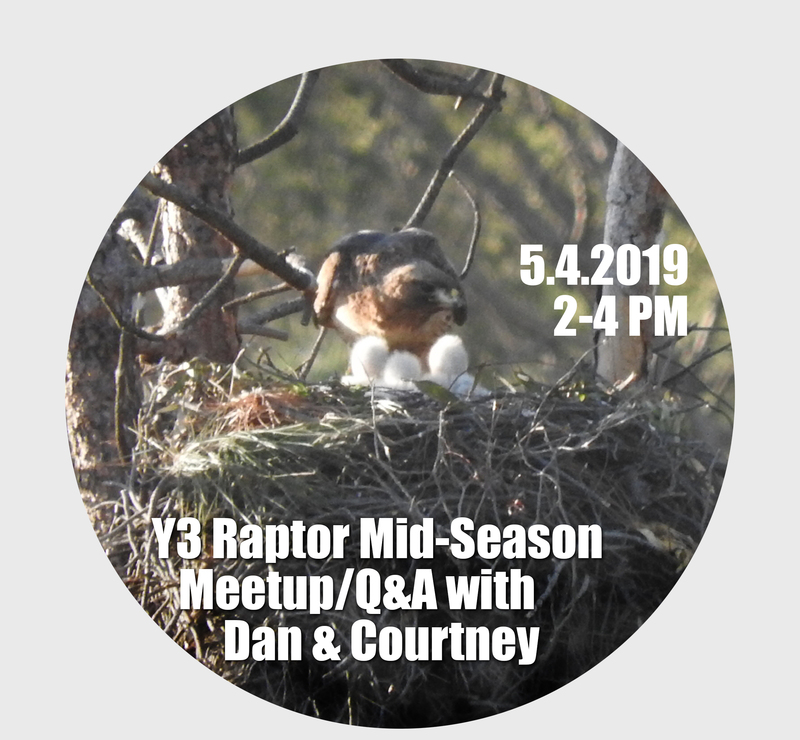 Friends of Griffith Park sponsored talks at the Los Feliz Library on the raptor survey, the origin of parks, and the fire of 1933. FoGP co-hosted a screening of The Cat that Changed America with the L.A. Zoo & Botanical Gardens. FoGP co-sponsored the second annual P-22 Day to highlight hazards faced by wildlife living in urban areas and raise awareness for the need of a wildlife crossing at Liberty Canyon. FoGP hosted a launch party for the P-22 Coloring Book at the Griffith Park Merry-Go-Round. FoGP participated in the annual Christmas Bird Count sponsored by Audubon. Friends of Griffith Park with support from LA Rec and Parks planted numerous trees in Fern Dell, Pecan Grove, and in the NYC 1&2 picnic areas. On Earth Day 140 volunteers planted 150 small trees using a new technology to supply the young trees with water designed to get them through the summer. FoGP again hosted Friends of the Los Angeles River’s (FoLAR) annual clean up at Bette Davis Picnic Area. As part of our ongoing preservation efforts, FoGP continues to mulch vulnerable trees in Fern Dell and water new native plantings in Fern Canyon. Friends of Griffith Park has a passionate board and positive community partnerships, but we need your continued support to ensure that Griffith Park remains L.A.’s signature green and open space, a place of free recreation, and a linchpin in the survival of Southern California’s native ecosystems. Become a member or renew your membership today. During 2016, Friends of Griffith Park continued to make extraordinary things happen! FoGP settled their lawsuit against the city regarding ballfields in Crystal Springs and preserved the Crystal Springs picnic area, heritage sycamore, and numerous protected oaks. FoGP attempted to get operational limitations on the permanent stage in the Old Zoo Area, such as free admission and hours of operations for the venue, but the city was unwilling to compromise. Working with the Department of Recreation and Parks, FoGP helped design and position trailhead signs and wayfinding signs within Griffith Park, to help Park visitors navigate through the vast Parkland. FoGP provided input to RAP’s Griffith Observatory Circulation and Parking Enhancement Plan and supported the plan to ease traffic congestion around the observatory and provide increased shuttle service to the observatory. The Fern Dell pedestrian bridge repair plans have been approved by RAP’s Construction Committee; and we are waiting for estimates for the repairs. FoGP commissioned a research study of the declining population of the native Western Gray squirrels. FoGP co-sponsored the Nordic Noir concert at the Greek Theatre to help raise money that would directly support Griffith Park. FoGP joined many other organizations in celebrating the 120th birthday party for Griffith Park. The FoGP website now has an e-store that sells hats, T-shirts, and We Love P-22 T-shirts. All money goes back to supporting the organization’s work in Griffith Park. FoGP continued our strong tradition of educational programs for the public as we partnered with the National Park Service to host a celebration of the 240th anniversary of the Anza Expedition in Los Angeles complete with costumed re-enactors, horses, dancers, a Native American musician, including a special appearance by Col. Juan Bautesta de Anza. At the Anza celebration, we also helped celebrate the 100th anniversary of the National Park Service. FoGP’s ongoing advocacy includes the introduction of students from area schools to Griffith Park; this year Inspiring Connections Outdoors partnered with our organization to bring 350 students to learn about flora, fauna, and history. Our goal is to develop a new generation of stewards for the park. In 2016, FoGP partnered with the National Wildlife Federation, RAP, National Park Service, and numerous other organizations for a P-22 event to raise awareness of wildlife in the city, especially our famous mountain lion, and the hazards they face and to raise money for the wildlife crossing at Liberty Canyon. FoGP-sponsored lectures this year include discussions on mountain lions, bats, amphibians, and Citizen Science as well as wildflower and mushroom walks in the park and Bird LA Day, all led by experts in their fields. FoGP participatedin the LA Zoo’s Wild for the Planet event to teach children about the Anza Expedition and the dangers of rodenticides to wildlife and domestic animals. FoGP hosted 16 different volunteer events in Griffith Park involving over 250 volunteers. These activities included weeding, graffiti paint-outs, watering in Fern Canyon; a tree planting at Captains Roost with SAMO Youth; graffiti clean-ups in Old Zoo area; mulching trees in Fern Dell; hosting the FOLAR Annual Los Angeles River Clean up at Bette Davis Picnic Area. Your membership and donation goes a long way to help us protect and preserve Griffith Park. Please take a moment to become a member or renew your membership if you’ve previously supported us. Thanks for your generosity on behalf of Friends of Griffith Park Board Directors! We’re proud of our achievements this past year and with your help, look forward to even more accomplishments in the coming year! FoGPs Fern Dell Revitalization Plan is now complete! The draft document is now in the hands of Rec & Parks awaiting their final approval. Kids to the Park. This past year, we again introduced busloads of school kids to the park’s native plants and animal species with 12 different hikes during the year. In total, 608 kids came into this Park, courtesy of Friends of Griffith Park and our partners from the Sierra Club, providing both financial support as well as interpretive expertise. A special thank you to our Directors Felix Martinez and Miguel Ordeñana. Volunteer Events. We continued to provide clean-ups, graffiti paint-outs, native habitat restorations, and the removal of invasive plant species in 2015. Our Volunteer Coordinator/Boardmember Laura Howe again worked with students of Marshall High as well as volunteers from surrounding communities for labor-intensive, time-consuming projects. 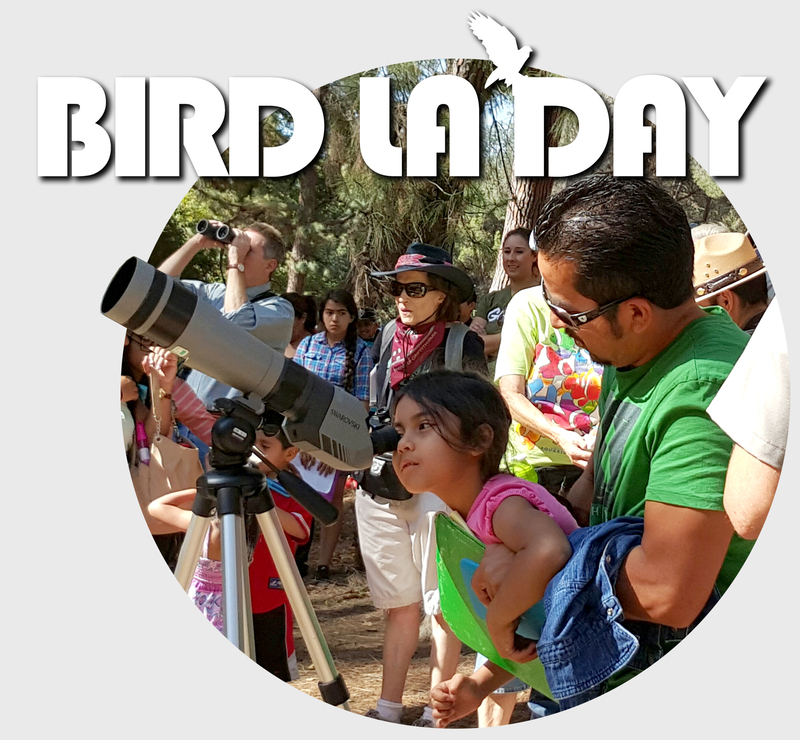 New programming was added to our active calendar – including our first Native Plant ID Class led by Jorge Ochoa, plus participation in the first annual Bird LA Day with a birding event. These new events are in addition to our continuing Lecture Series which this year included talks on Griffith Park Wildflowers, Park Mushrooms, and the role and health of western gray squirrels in our Parklands. Anza Trail Docent Training. Held in conjunction with the National Park Service. We continue to work with the NPS to improve the 4-mile segment of the Anza National Historic Trail. Crystal Springs. We continue our advocacy to save 49 trees in the Crystal Springs Picnic Area and to protect passive recreation venues and precious habitat. We’ve also worked hard with Rec & Parks to help develop a safe and effective traffic plan to reduce impacts from tourists. Looking toward the future. FoGP continues to fund scientific studies and surveys, including studies on wildlife connectivity and western gray squirrel genetics. We’re also advocating for alternatives to rodenticide use in order to reduce the impact on wildlife in Griffith Park. During 2014, Friends of Griffith Park was busy and productive. We’re proud of our achievements and with your help, look forward to even more accomplishments in 2015! Fern Dell. Phase II of the Historic Fern Dell Preservation Project is now fully funded. With your support, we reached our goal of $250,000! Technical assessment work is progressing nicely and will be completed by summer, 2015. We still need your generous funding for the implementation phase. Kids to the Park. Busloads of school kids (627) were introduced to the park’s native plants and animal species with 18 different hikes during the year. Friends of Griffith Park partners with the Sierra Club, providing both financial support as well as interpretive expertise. A special thank you to our Directors Felix Martinez and Miguel Ordenana. Volunteer Events. Clean-ups, graffiti paint-outs, native habitat restorations, and the removal of invasive plant species are some of the service projects Friends of Griffith Park facilitated in 2014. Our Volunteer Coordinator/Boardmember Laura Howe worked closely with students of Marshall High for the time-consuming multi-day project—Fern Canyon restoration. Anza Trail. FoGP’s current planning work, in conjunction with National Park Service, culminated with the Department of Recreation and Parks’ adoption of a planning document to restore the 4-mile segment of the Anza National Historic Trail in Griffith Park. Crystal Springs. Friends of Griffith Park has advocated saving the trees in Crystal Springs Picnic Area, and we protect passive recreation venues and precious habitat through our work with the Department of Recreation and Parks, City Council, and L.A. City Committees. During 2013, Friends of Griffith Park continued to make extraordinary things happen! Supporting special preservation initiatives in Griffith Park. Our Historic Fern Dell revitalization work continues with the launch of Phase II. Expert consultants have begun their work studying and evaluating various aspects of Fern Dell. Their technical assessments will guide us on the best way to restore this historic area. Our assistance grant from the National Park Service was renewed and we have taken a major role in planning for an enhanced Juan Bautista de Anza Trail segment which runs along Crystal Springs Picnic Grounds and beyond. Funding Scientific Research to help Griffith Park great ecosystem survive. Numerous surveys of the park’s flora and fauna have been conducted in recent years. In 2013, a primary focus continued to be wildlife connectivity. We have funded studies and invested in sophisticated cameras. In fact, it was the FoGP supported survey that first documented the P-22 mountain lion, who has called Griffith Park his home since February of 2012. Serving as Griffith Park’s nature and recreation advocate. We testified at public meetings on policy, commented and advised on environmental and recreational issues, raised consciousness about historic preservation, pushed hard for more Park Rangers, and lobbied to increase park funding. We kept our members and the public informed through our publications and web site. We promote practices that reinforce Colonel Griffith’s vision of the Park as a free and natural refuge from urban pressure. Promoting education as a key to sustaining Griffith Park. We underwrote and co-led numerous hikes that brought hundreds of urban kids to the Park and taught them about its natural wonders. We continued with our free Griffith Park Lecture Series at the Los Feliz Branch Library featuring authors and academics speaking on the Park’s human and natural history. We campaigned to reduce the use of rodenticides for rodent control, toxic to our wildlife, pets, and children. Volunteering for service in Griffith Park. We delivered more successful park clean ups and graffiti paint-outs events than ever before. We worked closely with the Department of Recreation and Parks staff to fulfill the void lost with budget cuts. We hosted a key Great LA River Clean-up venue – Griffith Park’s Bette Davis section. Friends of Griffith Park has a passionate board and positive community partnerships, but we need your continued support to ensure that Griffith Park remains L.A.’s signature green and open space, place of free recreation, and linchpin in the survival of Southern California’s native ecosystems. Please take a moment to become a member or renew your membership if you’ve previously supported us.